Mahindra bought majority of the stake in Peugeot Motorcycles in 2015 for 15 million euros. Ever since the acquisition, the company is working on new models and expanding its reach to global markets. 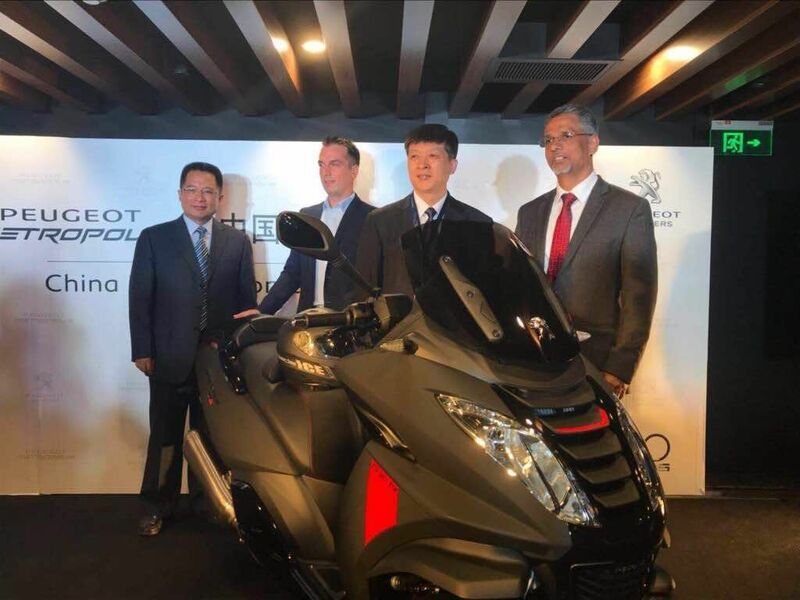 Peugeot Motorcycles officially launched Metropolis scooter in Chinese market recently. The new Peugeot Metropolis scooter made its global debut at EICMA in 2016 and it is powered by 400 cc PowerMotion LFE engine with liquid cooling produces 34.8 bhp of power and 38 Nm of torque. This engine is mated to CVT automatic transmission. The brakes for Metropolis are jointly developed by Continental and Nissan. The braking power comes from 200 mm double disc with single piston floating callipers at front and 240 mm single disc at rear. Peugeot has focused on safety of the rider as the company has given dual channel ABS as standard and the new system reduce braking distance by 23 percent over the previous model. 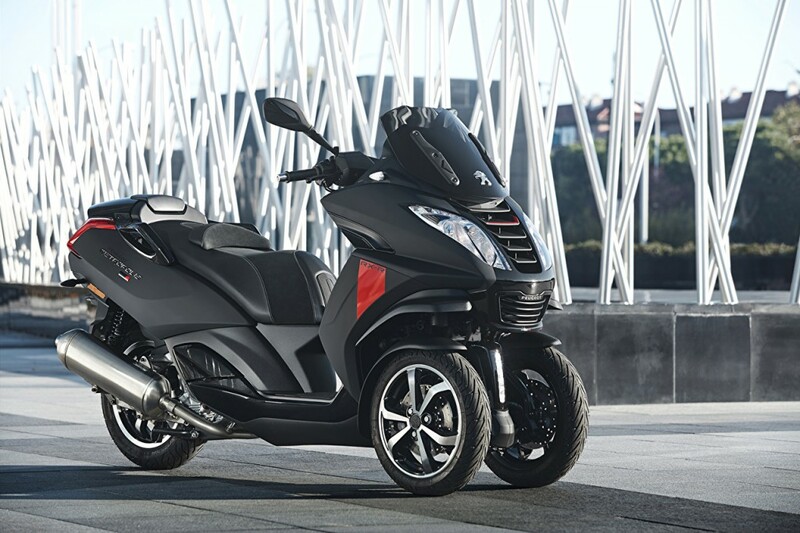 The Metropolis also comes with switchable traction control system with two riding modes – Urban and Sport. Peugeot Metropolis is world’s first scooter to come with hazard lights, which will be triggered during emergency braking. The company has also focused on comfort as the scooter comes with hydraulic single shock absorber at front and dual shocks at rear, which is tuned for comfort. The Metropolis also comes with USB charger and the seat come with adjustable back support. The company has also given visor, which can be adjusted to reduce wind blast. To make ride stable, Peugeot has given 120/70 section tyre at front and 140/70 section tyre at rear. Peugeot Metropolis comes with features like keyless ignition, parking brake, tyre pressure monitoring system but the metre console is analog. The scooter also gets good under seat storage as it can fit a full face helmet. Mahindra didn’t confirm whether Metropolis scooter will be introduced in India.